The paper presents information on the seismic observation network of Belarus and describes in detail the development of instrumental observations in the region. The seismicity of the territory of Belarus has been thoroughly studied in recent years. The data available on earthquakes in the Belarussian territory were refined from literature and archive evidences, historical earthquakes near Mogilev were revealed. The Catalogue includes the results of continuous instrumental observations for 1965–2009 described in bulletins of seismic stations. An analysis of the location of earthquake epicenters suggests their uneven distribution over the area. Epicenters of low-magnitude earthquakes are abundant in the southern regions of Belarus and are confined to a zone of junction of the Pripyat Trough northwestern part and the Belarussian Anteclise. The induced seismicity of the Soligorsk mining region has been investigated. 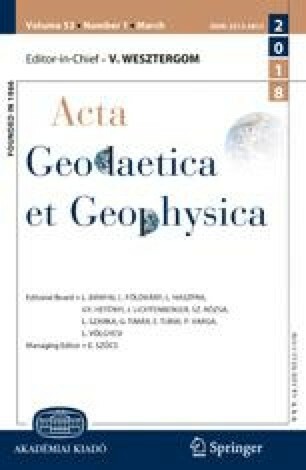 The investigation involved an analysis of dynamics of the annual space and time migration of epicenter grouping zones, which depends on the pattern of the induced changes of the present crust dynamic stress field. Seismic events are mainly confined to recent active fault zones.